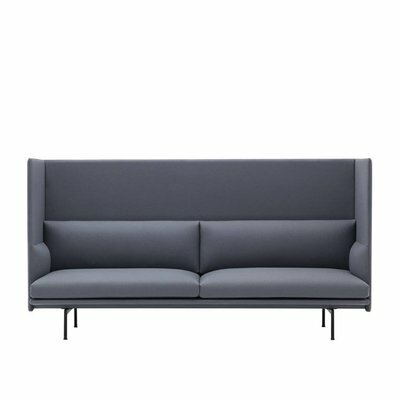 Swell is available as a two and three seat sofa as well as an armchair. The Swell By Normann Coppenhagen is a minimalistic collection of furniture for the living room with a playful, light-hearted feel. The soft, curved silhouettes give the furniture pieces an inviting look and ensure a fantastic sitting comfort. Swell is available as a two and three seat sofa as well as an armchair. The range of 21 different colors makes it easy to find a match for any decor by encompassing everything from neutral grey and brownish tones to deep and tranquil shades of blue and purple as well as energetic and bright yellow, green and red and a classic black.